South Shore Hyundai in Valley Stream, NY treats the needs of each individual customer with paramount concern. We know you have high expectations, and as a car dealer, we enjoy the challenge of meeting and exceeding those standards each and every time. Allow us to demonstrate our commitment to excellence! 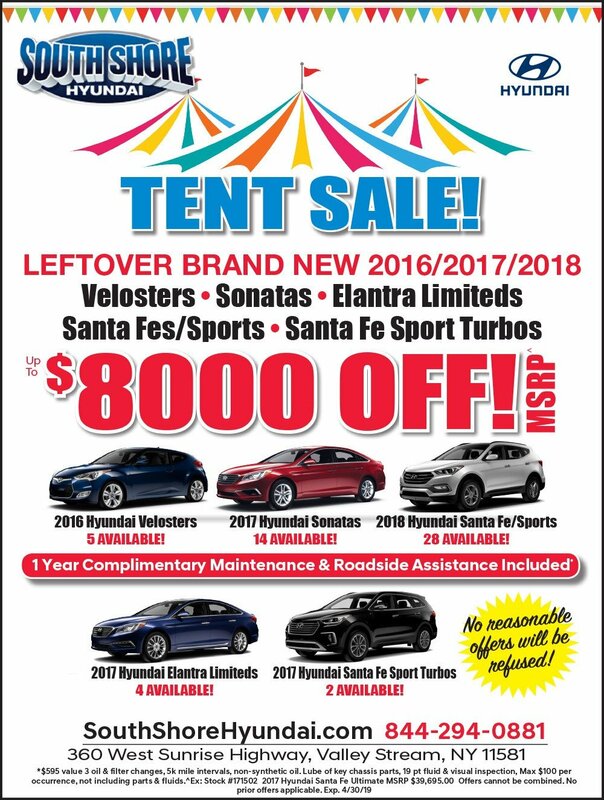 Please call us about any of the new or pre-owned specials above. Thank you for choosing South Shore Hyundai, your New York and Long Island Hyundai Car Dealer.